To continue receiving these emails, add enews@kensingtontours.com to your safe sender list. View Online. Designed for travelers looking for extraordinary experiences, behind-the-scenes access & deep cultural connections, Kensington's exclusive new Elite Asia tours are the stuff dreams are made of. From meeting the archaeologist responsible for the UNESCO preservation of the Bagan murals, to learning Kung Fu from one of China's highest-acclaimed masters & discovering Japan through the eyes of a "Memoirs of a Geisha" consultant. Your clients will enjoy an imperial feast in the courtyard of China's Forbidden City prepared by the descendent of Mao's chef, dine in the cellar of Myanmar's only winery, soar over Angkor Wat in a private jet, trek the jungles with a famed elephant conservationist & experience the Summer Palace after hours. Nights at palaces, red carpet arrivals, private planes & police escorts – This is the best of Asia at their fingertips! 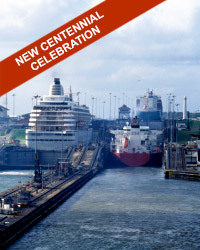 This epic journey to the Panama Canal takes adventurers to the 8th modern Wonder of the World celebrating its centennial in 2014. Travelers watch on as giant ships are lifted & lowered in its massive locks, then take to the seas to experience the canal first-hand. They will step back in time as they visit the colonial quarter Casco Viejo, explore ancient cathedral ruins, snake their way through the jungle on the Panama Canal Railway, cruise in a dugout canoe to an authentic Indian village, feast on fresh fish & local delicacies & watch a traditional Embera dance. Featuring private guide, driver & nights spent in a stylish UNESCO heritage hotel there is no finer way to experience the wonders of Panama. If your clients are holding out for the luxury of South Africa at a real world price – wait no longer! Complete with great white shark cage diving, whale watching, horseback riding, winery tours, expert safaris & more, this exclusive 5* private guided tour delivers. This blockbuster adventure showcasing Cape Town, a 5-star eco-lodge in Hermanus & the exclusive wilds of Sabi Sands has everything they could want & more. Travelers will sip their way through the vineyards of Overberg, play with the penguins of Betty's Bay, picnic at the meeting point of the Atlantic & Indian oceans & safari through Africa's most elite game reserve. Complemented by Kensington's favorite 5* hotels, lodges & camps, this is luxury for less! The evolutionary marvels of Darwin's isles come to life on this once-in-a-lifetime voyage through dramatic waterways. Your clients will sail in style through hundreds of stunning volcanic islands aboard their chic boutique yacht as they discover these inspirational lands. With stops to hike through lunar landscapes, swim next to seals, stroll unspoiled beaches, visit the Darwin Research Station & more. 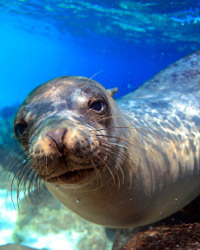 They will learn from their world-class naturalist guide as they encounter blue-footed boobies, penguins, sea lions, giant tortoises, iguanas, flamingos & other rare creatures. Featuring pre/post hotel, tours through Quito, private guides, all transfers & more. Space is limited so book now! Set before an intoxicating backdrop of rose tinted cities, monolithic rockscapes, otherworldly lifeless seas & a myriad of spiritual sites lies the gates to Jordan's lost civilizations. Literally steeped in Biblical sites, Roman ruins & timeless treasures, this private guided tour through Amman, Petra & the Dead Sea makes for a soul stimulating adventure. Ancient history comes to life as adventurers stroll through reminders of a bygone age in Jerash, explore the marvel that is Petra, float in the therapeutic waters of the Dead Sea, search for treasures in bustling bazaars, indulge in delicious Levantine cuisine & more. 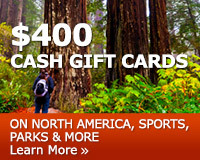 Complete with 4.5* hotels & everything your clients might need, adventure awaits. Travelers will venture off the beaten path & voyage to the last great kingdom of the Himalayas, Bhutan, on this novel active adventure. A time locked world of flapping prayer flags, snow-capped mountains & scarlet robed monks, this once forbidden Shangri-La was isolated for centuries & only opened to tourism in 1974. Led by private guide, the spiritual wonders of Thimphu, Punakha & Paro are unveiled. Your clients will receive holy blessings, sip tea with villagers, go on alpine temple treks & visit hauntingly silent monasteries. Complete with traditional eco-friendly hotels, all transfers, everything they could want & more. This soul achingly beautiful land, the friendly local people they meet & the memories made will stay with them forever. This self-driven experience through the highlights of California gets travelers behind the wheel as they discover the majesty of America's Golden Coast at their own pace. Making their way through LA, Santa Barbara, Monterey Bay, San Francisco, Yosemite National Park & Napa Valley, this grand North American journey is sure to impress. Your clients will get lost in the glamor of LA with a shopping trip to Rodeo Drive, experience the vibrant art culture of the American Riviera, taste their way through lush vineyards & dive into Yosemite's idyllic natural surroundings & more. This Californian experience is complete with drives through breathtaking mountains & seascapes & stays at stylish & iconic hotels. Epic battlefields, mythical lake monsters & crumbling fairy-tale castles await on this luxurious cruise through Scotland's dramatic waterways. The journey begins with an exclusive private guided tour through the quaint streets of Inverness before boarding the stylish barge, the Scottish Highlander. Your clients will sail through the legendary highland lochs, weaving their way through ancient Scottish mountains. With bike rides through charming wee villages, spirited whiskeys samplings, the historical site of the last battle on British soil & much more led by expert private guide. 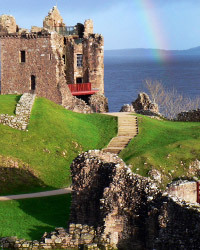 Complete with traditional Scottish meals, pre-cruise castle hotel, all transfers & much more. With zodiac excursions, iceberg trekking, snowshoeing, cross-country skiing, kayaking & polar mountain hikes, this exclusive luxury cruise & tour is one-of-a-kind. 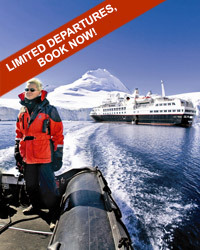 Explorers will tour the "White Continent" on this epic journey aboard a stylish expedition cruise ship. They will experience Buenos Aires & Ushuaia before boarding their vessel outfitted with all the luxuries of home, promising a trip that is sure to be as pampering as it is adventurous. Your clients will behold the magic of the Beagle Channel, Drake Passage, South Shetland Islands, Brown Bluff, Paradise Bay, Paulet Island & Deception Island, spotting elephant seals, whales and adélies penguins along the way. The eighth continent awaits! This customizable culinary adventure through the land of "La Dolce Vita," a country famous for its gastronomic delights, promises to stimulate your clients' senses. As palate pleasing as it is picturesque, they will eat their way through mouth-watering Rome, Bologna & Florence. Cooking lessons unveil the secrets to making dishes like pizza & pasta, while a tantalizing chocolate, cheese & wine tour is a treat for the taste buds. 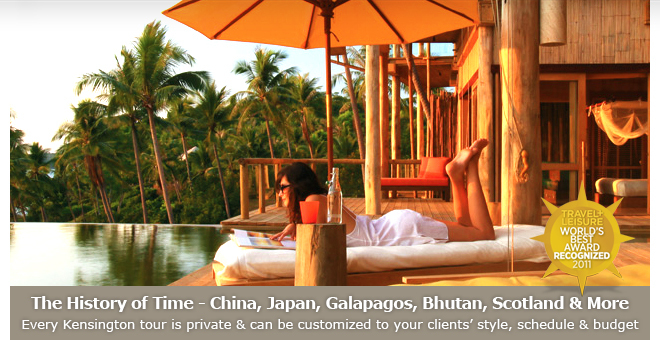 Featuring stylish hotels, private airport transfers & more. This delicious epicurean adventure through Casablanca, Fes, Marrakech & the High Atlas Mountains will have travelers sipping sweet mint tea in a kasbah, weaving through spice souks & picking lemons right off the tree. They will behold the ancient highlights of this mystical land intermingled with hands on culinary lessons, agricultural visits & extraordinary meals. Complete with hikes through olive groves, wild honey samplings, feasting with Berbers & stays at riads evocative of 1001 Arabian Nights. "We had a great time on our vacation and felt very well cared for. Our guides were competent, attentive, flexible and enjoyable. They offered great suggestions for our free time. We liked the blend of big cities and rural China. Everything went exactly as planned. Our hotels were comfortable; the restaurants our guides picked served good food. It was truly a trip of a lifetime. 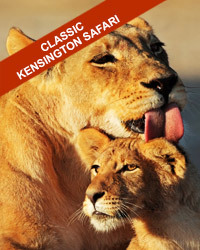 I would definitely recommend Kensington Tours and use your services again." Kensington Tours, 2207 Concord Pike, # 645, Wilmington, DE 19803 USA. All prices are USD per person based on double occupancy, subject to availability, dates travelled & applicable to new bookings only. * Free Sunrise Champagne Hot Air Balloon Flight over the Masai Mara, booked by September 21st 2013, for travel in 2014, minimum booking of $6,000 USD per person. Copyright Â© 2013 Kensington Tours.